The Eastside city, incorporated nearly 20 years ago, is in the midst of revitalizing its downtown to jump-start redevelopment and create a sense of place. Officials have big hopes for what’s to come. 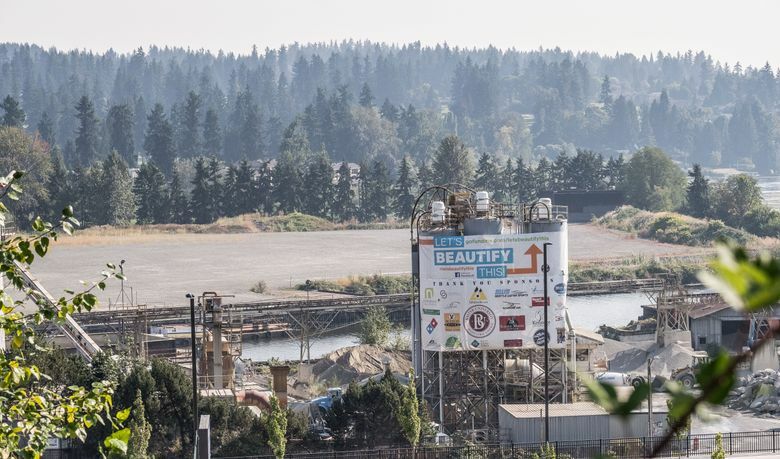 What greets motorists arriving at Kenmore on Highway 522 from Seattle and points west are three giant concrete silos. 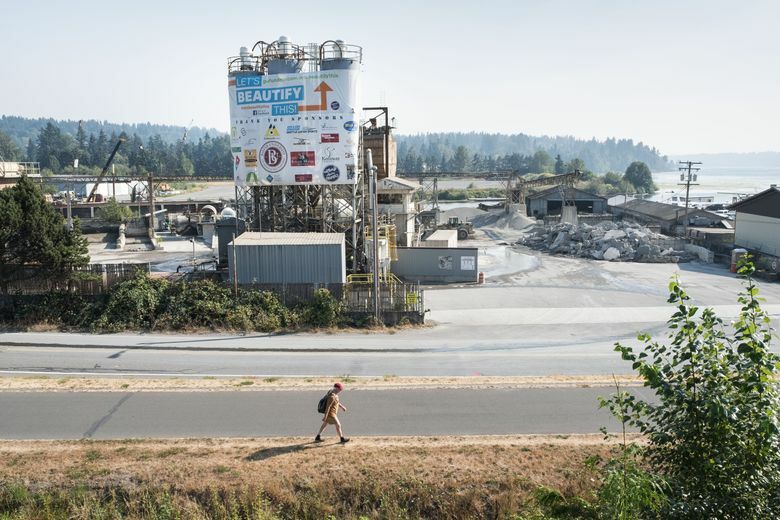 Eighty feet tall and painted battleship gray, they are the unsightly reminders of the city’s industrial past along the northernmost end of Lake Washington. 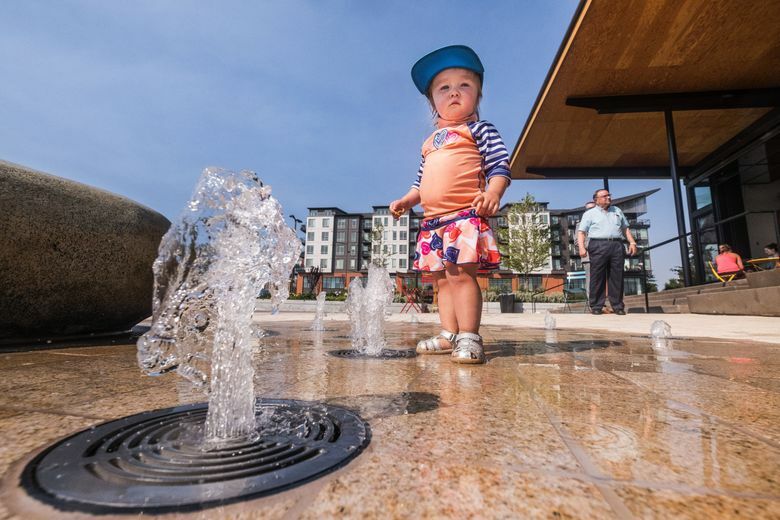 The city of Kenmore is in the midst of an ambitious downtown redevelopment that’s already seen the construction of a new City Hall and library, new community building and public plaza and two big apartment complexes. All are within a two-block area that the city hopes will ultimately attract more private investment and create a sense of place for residents. And more multimillion-dollar projects are in the offing. The city has approved the master-use permit for the historical renovation of the former Saint Edward Seminary building in the midst of a state park of the same name about half a mile from downtown. And a big proposal known as Lakepointe could transform an undeveloped, 48-acre parcel on Lake Washington into the waterfront destination the city has long lacked. The project could include 500,000 square feet of office and retail space, a boutique hotel, apartments and condominiums, a public boardwalk and beach access. “It’s not a slam-dunk. There are extraordinary costs associated with developing the property,” said City Manager Rob Karlinsey, who is guiding the city’s downtown-redevelopment efforts. 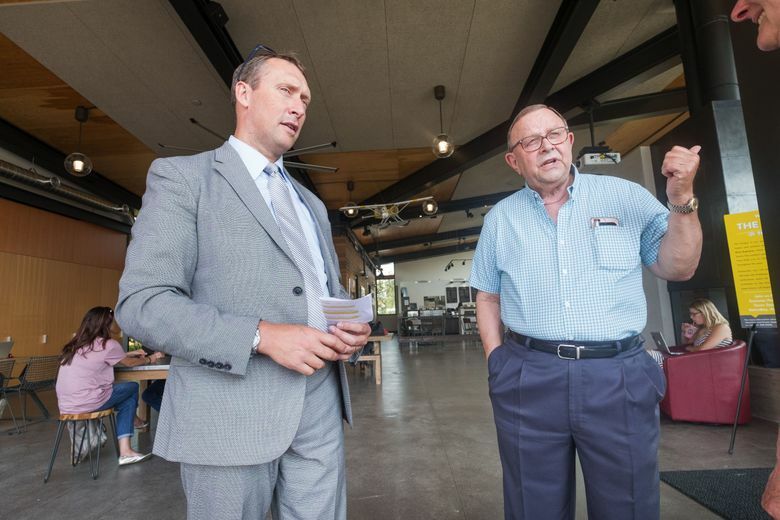 He said the site, a former landfill, would require about $100 million in steel piling to support the future buildings, even before construction could begin. Kenmore, part of unincorporated King County through most of its 125-year history, is located along an unloved stretch of Highway 522 between the neighboring cities of Lake Forest Park and Bothell. Zoning was looser in the county, which meant that Kenmore attracted roadhouses, taverns, a lakefront concrete plant and, in the ’60s and ’70s, plenty of strip malls. When the city incorporated in 1998, Mayor David Baker said, the first order of business was to boost economic development and give the suburban, commercial sprawl an attractive center to draw people in. The city bought 10 acres of what had been the site of a drive-in movie theater, a blighted grocery store and the surrounding parking lot. 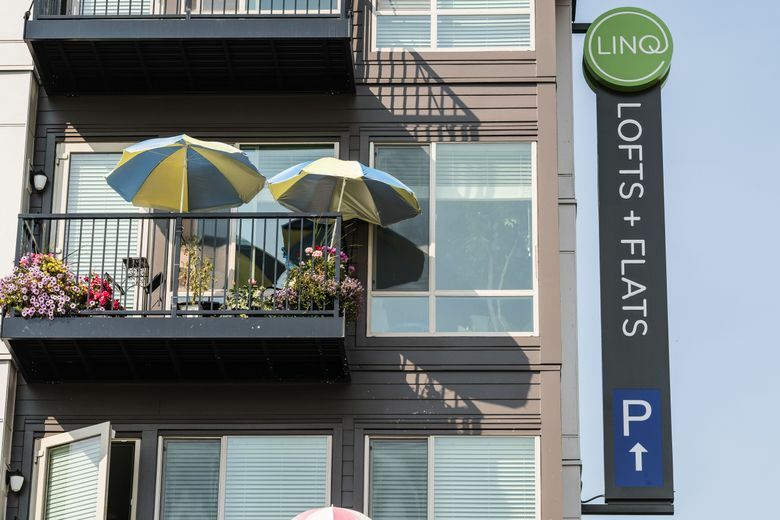 In its place now stand two upscale residential developments: Spencer 68, which features 220 apartments and lofts, and the LINQ, 90 units on four floors above a soon-to-open medical clinic. The two projects total about $100 million in value. 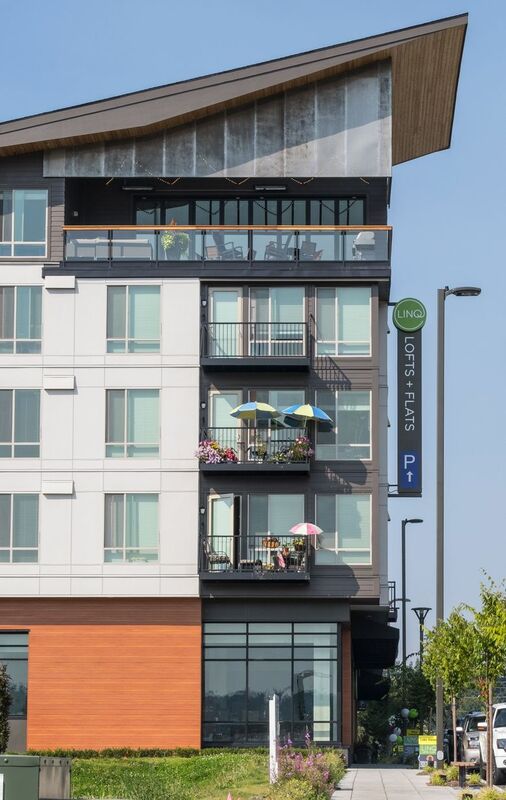 Both were developed by MainStreet Property Group, a Kirkland developer that does most of its work within a 10-mile radius of its headquarters. President Kelly Price said Kenmore city planners and the community have created a strong vision for what the city can become. “We can be part of that and help them execute and create the vision,” he said. He estimates that 300 to 400 new residents have moved into the apartments, already giving the downtown more vibrancy. The company is also negotiating with a local restaurant chain to add a casual-but-quality dining establishment next to the city’s new public plaza, Town Square. 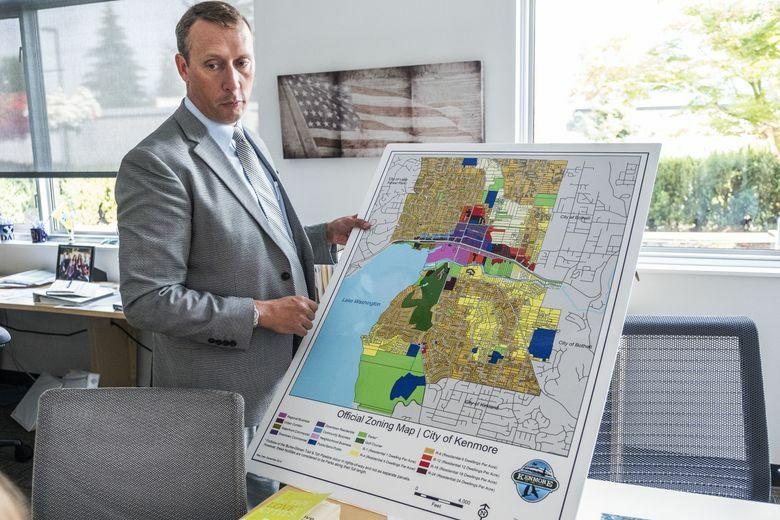 Price said that among the many Eastside cities in which the company has built, Kenmore and Bothell stand out for making investments of city dollars to jump-start economic development, including roads, infrastructure and civic buildings. 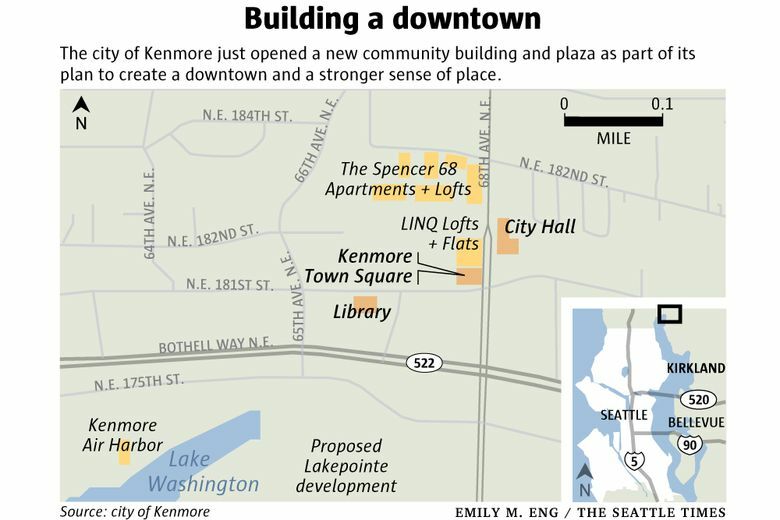 Kenmore also has a keen competitive streak when it comes to neighboring Bothell. 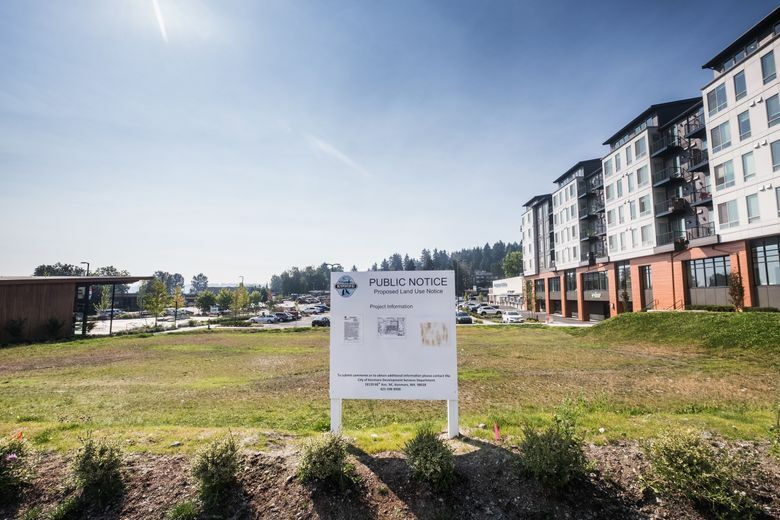 While Bothell began its ambitious, multimillion-dollar downtown-redevelopment efforts in 2006, and Kenmore’s didn’t take off until about 2012, Kenmore’s mayor points out that Bothell took on a lot of debt to finance $150 million in public investments. By way of contrast, Mayor Baker said, Kenmore didn’t have any debt before it went to the voters in November to win approval of a $19 million, walkways-and-waterways bond measure that will build almost three miles of sidewalk along the city’s main north-south arterial, Juanita Drive Northeast and 68th Avenue Northeast. The bond measure will also fund improvements to Log Boom Park on Lake Washington and two city parks on the Sammamish River. Baker and Karlinsey proudly lead a tour of the new community center, the $4.5 million Hangar Building, featuring the roll-up door of an airplane hangar, which the mayor calls “a big, audacious door.” It opens onto the new Town Center plaza, with a water feature that is already attracting kids on hot summer days. Town Center is also the site of summer movie nights and the recent “Why I Love Kenmore” party that drew about 500 residents. Karlinsey said that Kenmore already had plenty going for it. He notes that the city is the seaplane capital of the world, with the headquarters of Kenmore Air on the lakefront. He claims it’s also the naturopathic doctor capital, with Bastyr University, the nation’s largest naturopathic college, just up the road near Saint Edward State Park. And those towering concrete silos? 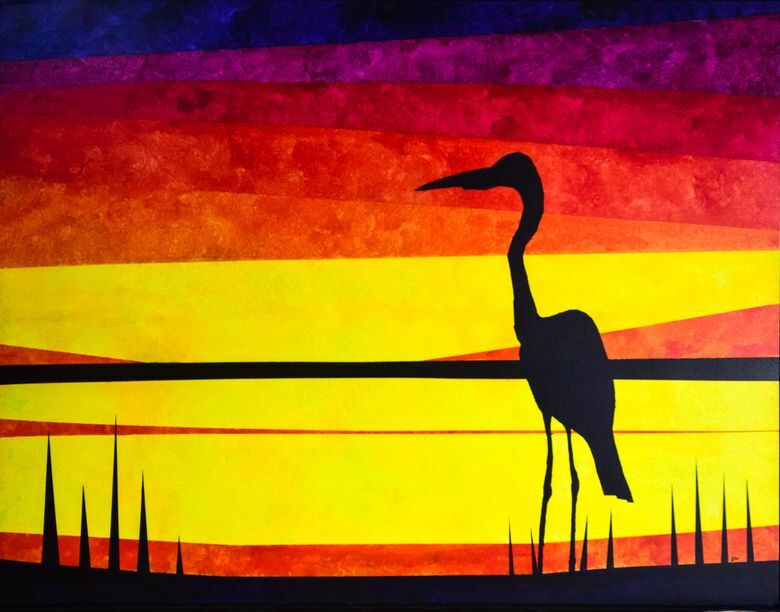 In August, artists working with the nonprofit The Arts of Kenmore unveiled at City Hall a 32-by 47-foot canvas mural that features a heron standing in profile against a stylized sunset. 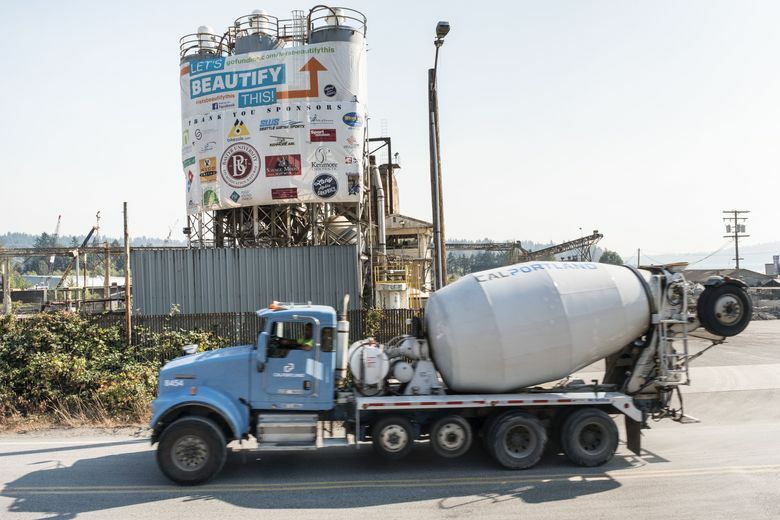 CalPortland, operator of the concrete plant and aggregate yard, plans to install the mural across the silos this fall. “People who have been here 40 years and people who are brand-new have a much greater sense of community,” she said. Mayor Baker has still more grand plans for his city. He holds out hope that the city will get a county-run, passenger-only ferry to Seattle’s University District or Madison Park that will connect residents to light rail or bus-rapid transit. Sound Transit 3 will also deliver bus-rapid transit along Highway 522 and a 300-car parking garage for the city by 2023, helping to ease the chronic congestion, he said. He calls up on his laptop an image of a Hovenring, a suspended, futuristic bicycle and pedestrian roundabout (two exist in the entire world) and suggests that Kenmore could build its own to help bike riders on the Burke-Gilman Trail and residents visiting the future lakefront to access the new downtown while avoiding traffic on 522.